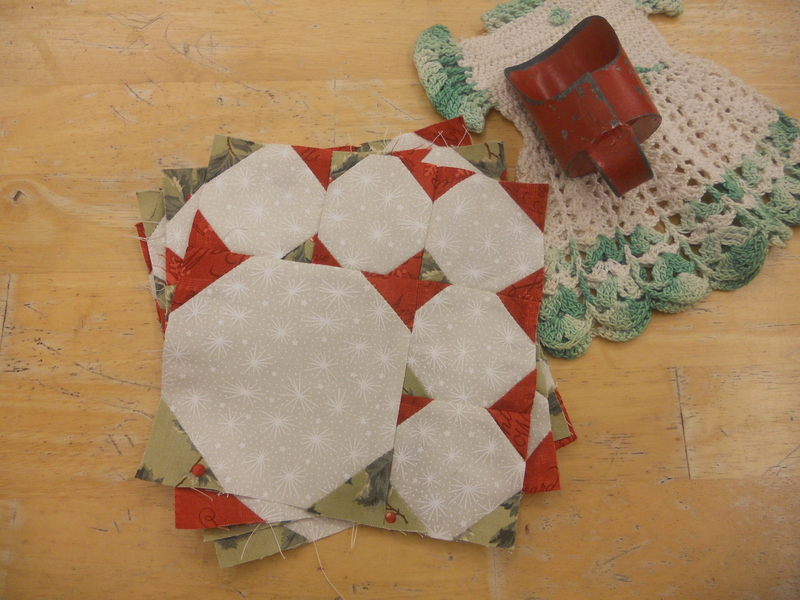 Welcome to week 8 of our Christmas Morning Quilt Along…this post finishes up the blocks. Trim to 6 ½ inches. 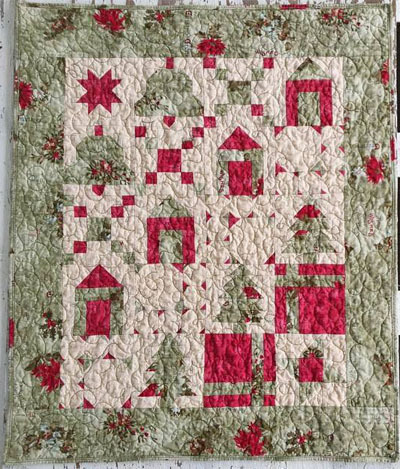 1 Warm Wishes block is pieced. PS…we’ll be Madison WI at the Quilt Expo…be sure to stop on in and take a look at our booth! 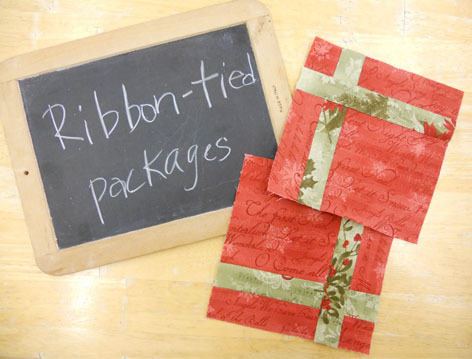 Pop over to our etsy shoppe to purchase the Ribbon-Tied Packages pattern sheet. Trim to 6 ½ inches. 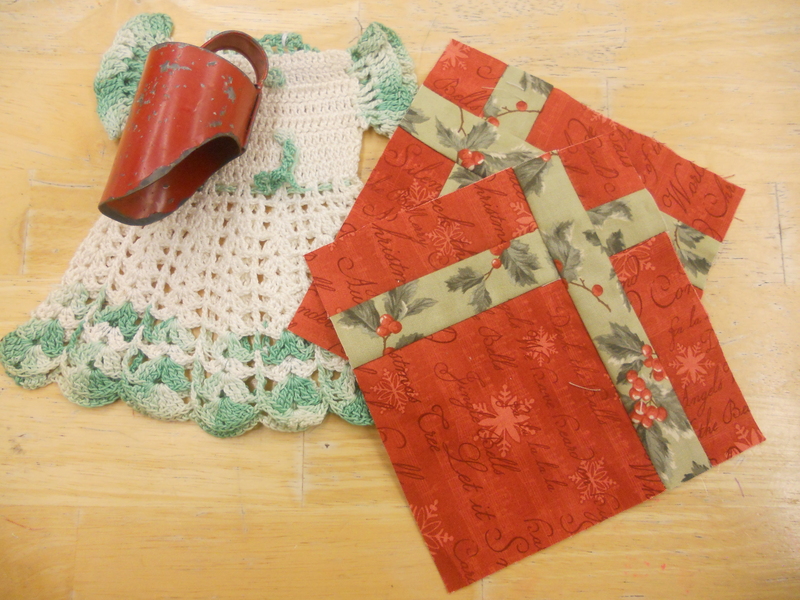 2 Ribbon-Tied Packages are pieced. 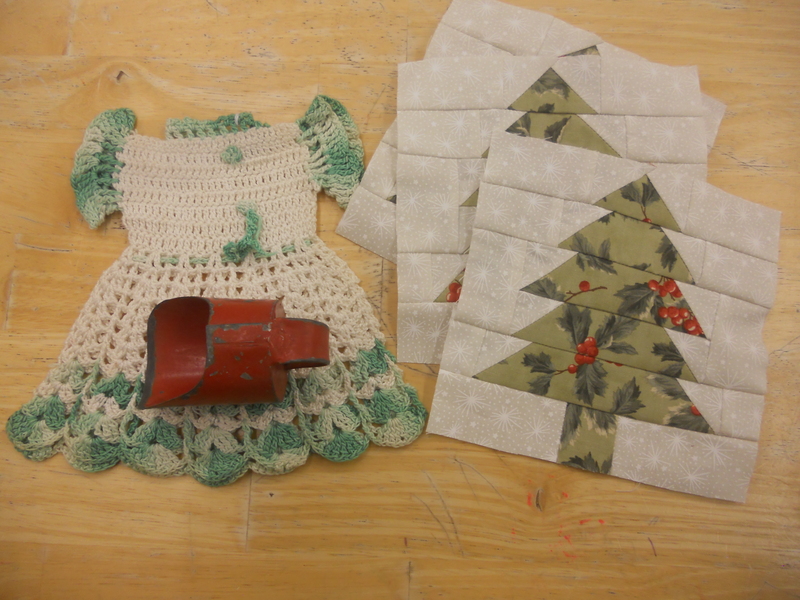 Piece 3 Oh, Christmas Tree blocks. 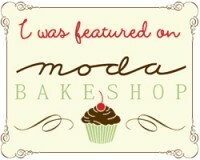 Pop over to our etsy shoppe to purchase the project sheet. Trim to 6 ½ inches. 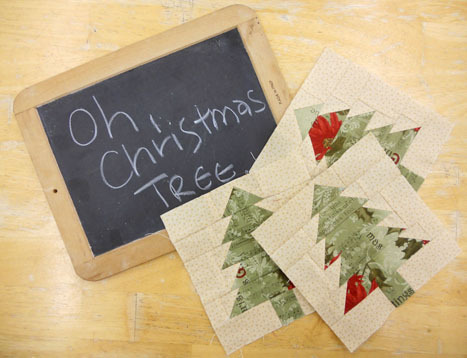 3 Oh, Christmas Tree blocks are pieced. 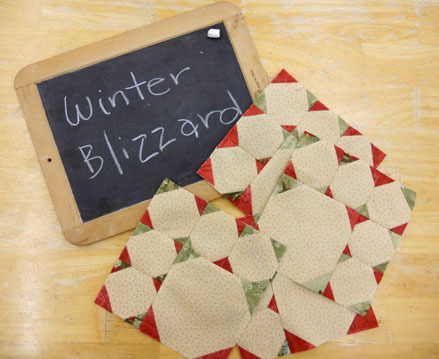 Pop over to our etsy shoppe to purchase the winter blizzard pattern download. Piece 4 Winter Blizzard blocks. Trim to 6 ½ inches. 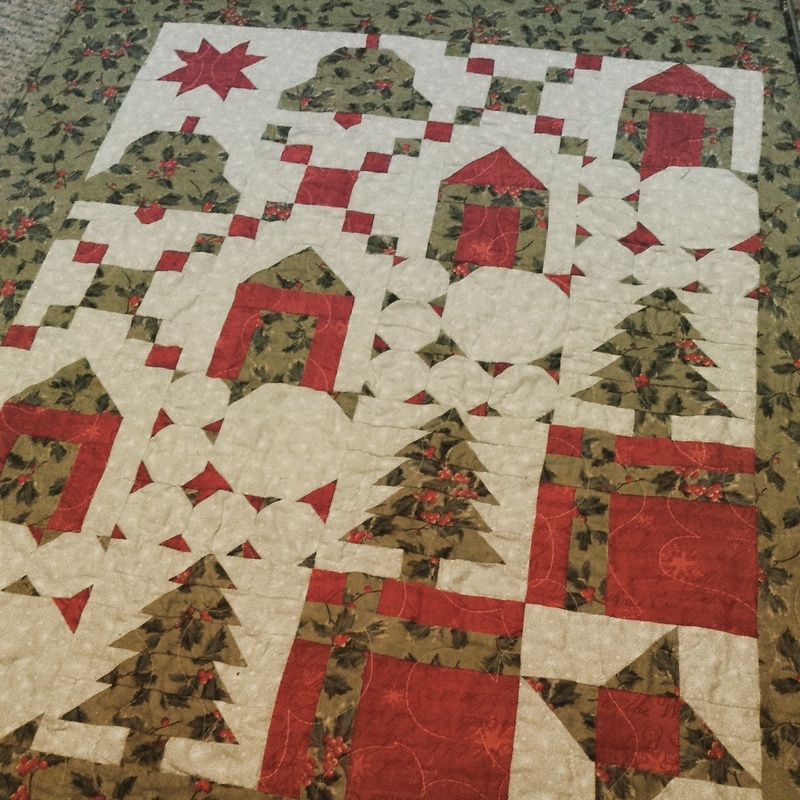 4 Winter Blizzard blocks are pieced. 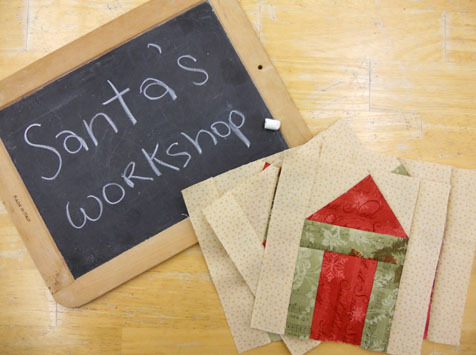 Pop over to our etsy shoppe to purchase the Santa’s Workshop pattern sheet. Trim to 6 ½ inches. 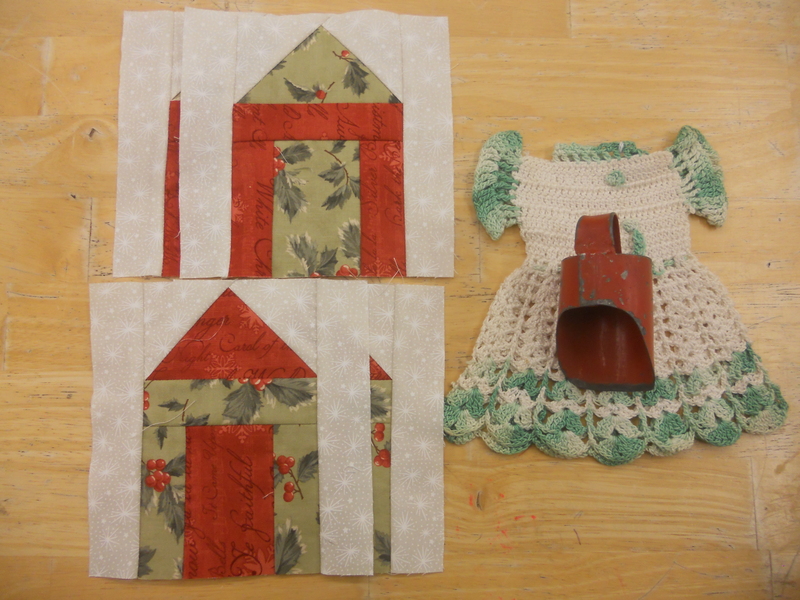 4 Santa’s Workshop blocks are pieced. Welcome to week 9…I hope you are ready for borders and binding. We no longer have kits available. Layout and piece rows as pictured above. Pop over to our etsy shoppe to purchase finishing instructions. Layer backing, batting, and quilt top; pin and quilt as desired. 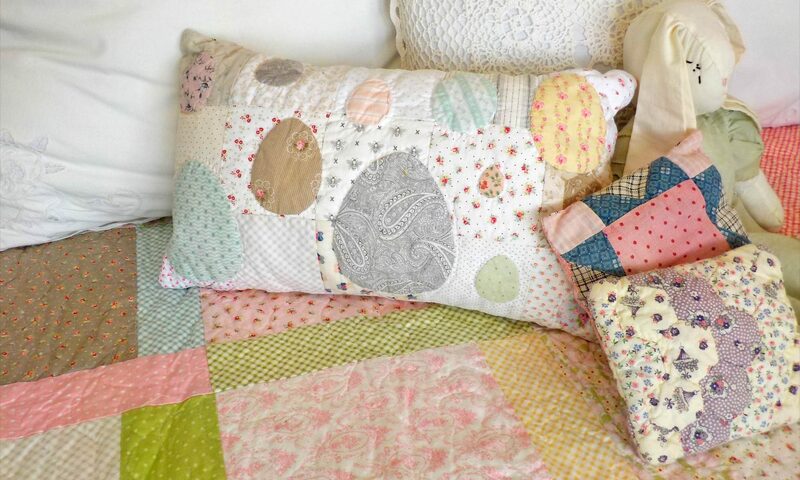 I quilted ours with an medium free-style overlapping meander. I used a green variegated thread. Piece binding end to end. Bind as desired. We washed ours so it has a vintage, puckered look. 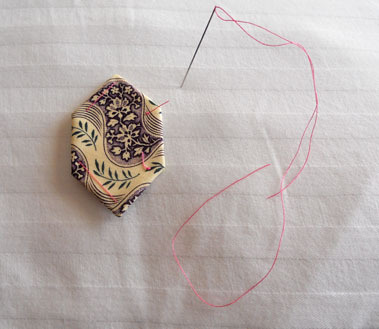 PS…have you checked out our post about our next Quilt Along??? be sure to pop over to Countryside Style to get started! 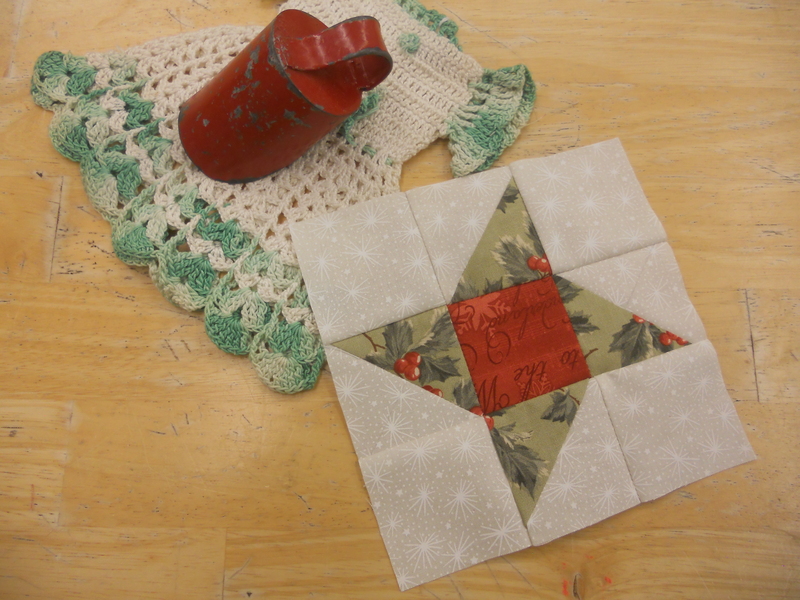 Welcome to week 8 of our Christmas Morning Quilt Along…this post finishes up the blocks. Join us next week for the cutting of the border and binding. Layout as follows and piece together 1 Warm Wishes block.